First day of my internship – finally! In picture: Jibi, right before we both got drenched by a huge wave. We had gone to watch the sunset. 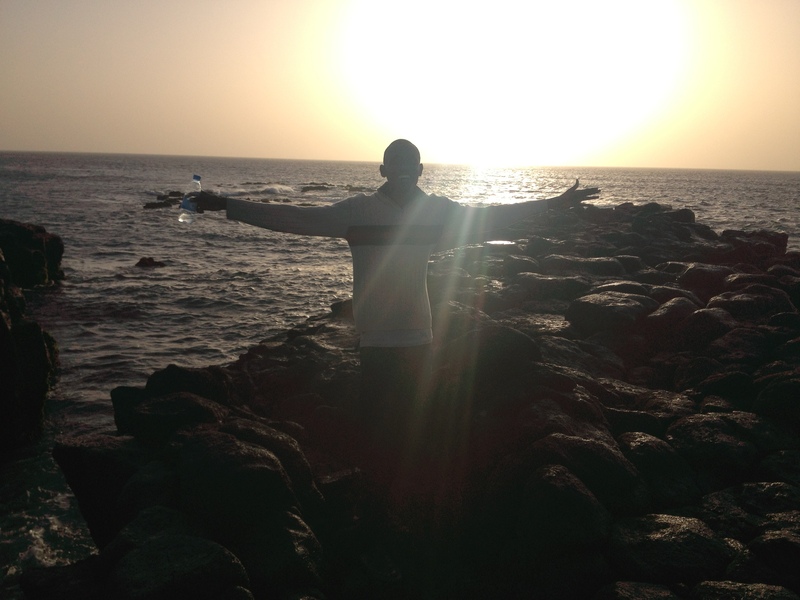 It was my first Senegalese sunset. Thankfully Jibi is a gentleman so he let me wear his sweater while he froze in his tank. C’est la vie, Yama often reminds me. That’s life. I’ve been remembering this as I face all sorts of interesting issues. I finished with my first day on the job at my internship! It’s honestly such a long story, but I’m no longer working at the internship with the prisons that I had originally planned on and was accepted to. To put it simply, and really I don’t know all the information anyway, my boss is very busy and he decided that there isn’t that much I would be able to do besides a lot of reading. I’m thankful for him being honest about that up front so that my internship doesn’t consist of doing just the things I could do from an American library. After I received the information that I wouldn’t be at that internship, Waly and I talked a lot and he found me another one. But, in my head and heart I had a small little struggle. You see, originally I was to move to a village for my internship. I would absolutely love to experience life in a Senegalese village and greatly improve my Wolof. I know I’m cut out to live that kind of life – I could handle it. However, when the prison internship was on the table I thought that it would be a really interesting experience for me, and perhaps relevant for my future. But that would require me to stay in Dakar. Anyway, I knew that it would be unlikely that I got the prison internship, so I decided that if God wanted me to stay in Dakar and do the prison internship, he would make it happen. If he wanted me to go live in the village and do something there, he could easily make it so that the prison internship wasn’t an option. I asked him to guide me. But then the prison internship was made an option just long enough so that it was impossible to move to the village, but short enough that it wasn’t going to work out. Perhaps I’m not listening to God close enough and instead am choosing based on my own desires, and not his. Or, contrarily, maybe it was his idea that I don’t do the prison internship, but that I really should stay in Dakar. Mostly I’m content with how things are now. I’ve always been the kind of person to build my network of relationships deep not wide, (if friends are coins, I prefer 4 quarters to 100 pennies). 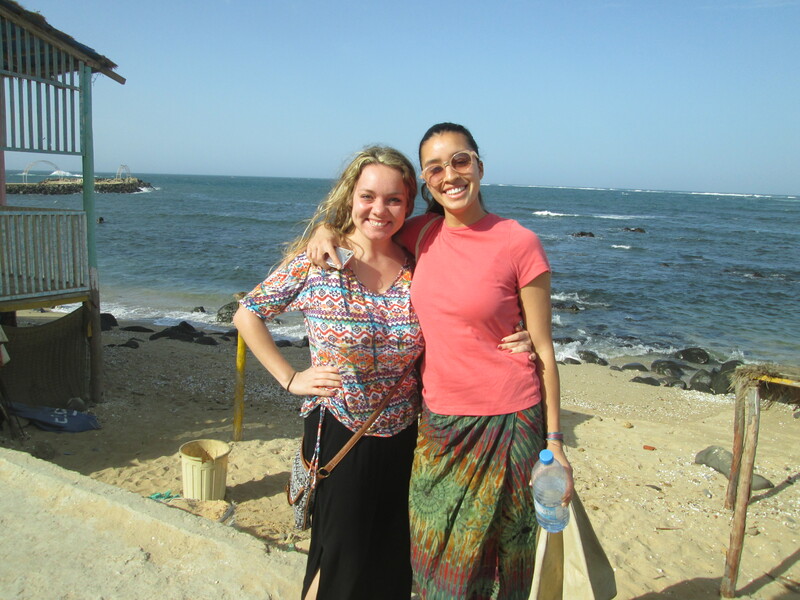 In that way, I’m excited to strengthen and deepen the relationships I already have in Dakar. So far my internship is great. My boss is phenomenal and the two co-workers I’ve gotten to know are also very patient and nice. Which everyone in Senegal is patient and nice, but they are beyond average. As far as improving my Wolof goes, I have decided that I will do some studying on my own. I love Wolof enough to actually do this, and my main motivation is so that at the dinner table I have new things to tell my mom. She gets a total kick out of any new Wolof phrase I can tell her. And another thing I’ll miss out on by staying in Dakar, experiencing a new environment, is also tempered by the fact that I work in the part of Dakar called Yoff. 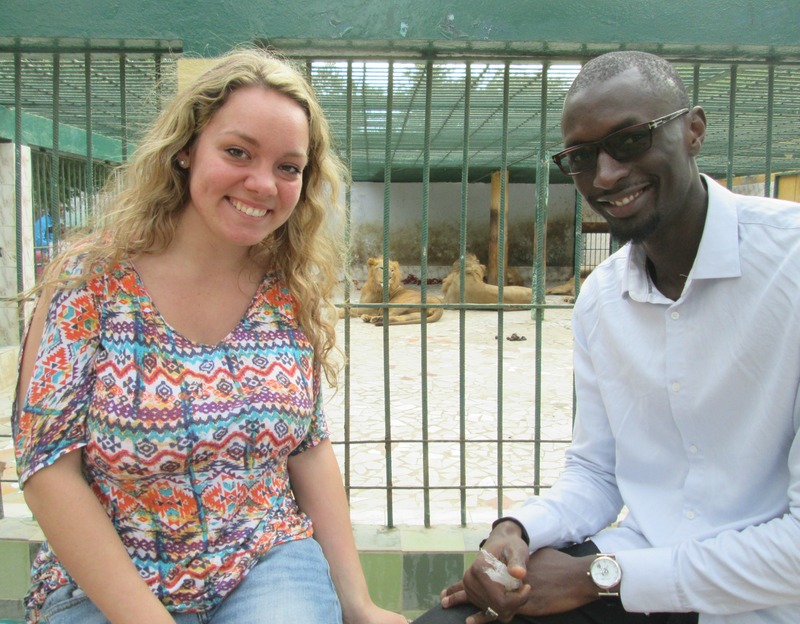 Although Yoff is in no way comparable to village life, it is very different from the part of Dakar I live in – Mermoz. In that way, I am experiencing something very new while I pass each day there. The first day on the job was nice and totally relaxed, lacking the stress that the first day on the job might have for someone in the U.S. I had one task today, and I started and finished it. The NGO does a whole bunch of different things, and I already know that “a typical day at work” won’t exist (yay!). Today I organized a giant stack of papers. The stack contained forms and a photograph of hundreds of children who live in Yoff, between the ages of fresh and about 8 years old, but usually around 4 or 5. I was to create a file folder for each child. Basically this is the situation: each child has a sponsor in the U.S., Canada, France, or China. You’ve seen it – pay X amount of dollars daily or monthly to feed a child or send them to school. My family in the U.S. have done it, but now I’m on the other side. I am meeting those children! The NGO I work with facilitates the program. A few of the sponsored kids were in the office today doing what they need to in order to stay sponsored. They really earn the money that they receive. In their file they have a notebook. They are required to write letters to their sponsor on a regular basis, updating them on their life. If the sponsor writes letters too, that correspondence is kept in their file. Sadly, the Senegalese children would write several letters a year and usually there were no letters back, although notably Brian and Tim were good at writing back to their child. I also cleaned out file folders from kids who had become too old to receive money. One girl specifically had all the letters she had written from 2006 to 2012. She also had several pictures of herself in there, as to keep her sponsor updated on what she looked like. I’m really nervous that my boss is going to throw all those old stacks away. Honestly they aren’t something I should be allowed to browse through, but oh my goodness would it be so interesting. Another thing in the file folder is a form with information about the children. It entertained me so much! The question that was in the specific position on the page that I could glance and read without appearing like I was reading the forms as I put them in their folders was a question about what they like to do during playtime. The child who was most enthused and adorable in his photo said that his favorite thing was to play with his mom. His family described him as curious. Another boy said that his favorite thing was to play with the sheep. Didn’t contain my grin when I read that one. The best part of the day was lunch time! My boss told me that each day I am to walk to his house and eat with his family there. (Honestly, what? That is incredibly nice. I will be saving money, eating outstanding food, and have the company of wonderful older women and his three beautiful daughters.) We ate ceebujen, the national dish of Senegal and the most common lunch. It was hands down the best ceebujen I’ve ever eaten here, and I’ve eaten a lot of it. Yama asked me some questions and then explained that it’s because an older woman made it. At my house in Mermoz, our maid cooks it. She can’t be more than twenty or so years old so she hasn’t had years of practice like my boss’s wife. Before lunch, admittedly, I took a long nap on their couch. So did the youngest daughter who is about three. With a two hour lunch break what’s better than a nap and phenomenal ceebujen? I also loved talking to middle aged and older women. Usually it’s only men who want to talk to me. Anyway, all is well in my life. The past week I sat around doing a whole lot of nothing as classes were finished but there was trouble getting my internship on the ground running. I’m flexible and didn’t stress out about it. That’s the necessary attitude to have when you’re in “Africa”, but specifically here in Senegal. I think I’ve always harbored the qualities necessary to live a peaceful, stress-free life, but I’m really realizing and cultivating them now. Maybe all of the stressed Americans out there harbor the seeds necessary to live a life of “jamm rekk” but those qualities aren’t withdrawn in western culture. I’m excited to bring my new “do life slowly, be a peaceful presence for all” style back to the U.S. I think I can hold on to it for at least a little while. Categories: Chapter 4 Internship and Research | Tags: Americans, Arabic, bus, ceebujen, children, Dakar, development, French, God, internship, Jibi, life, lunch, Mermoz, Mom, ocean, peace, Senegalese, sponsor, stress, sunset, Yama, Yoff | Permalink.